Kahului, Maui. PC: by Wendy Osher. 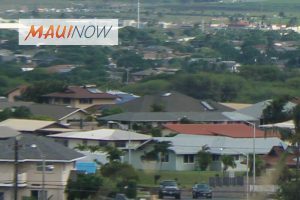 Representative Justin H. Woodson of Maui says the recent approval of the Kahului Civic Center Mixed-Use Project and multi-family rental housing units by the Hawaiʻi Housing Finance and Development Corporation Board of Directors is a positive move toward providing more affordable housing. The HHFDC has approved a Memorandum of Understanding, ground lease, Right-of-Entry, and budget for the Kahului Civic Center project, which includes a new Maui Bus hub and affordable rental housing units in Central Maui. Earlier this year the legislature approved $2.5 million for the plans, land acquisition, design, and construction for the project. The project will include the Maui Bus hub which will replace the current transit hub at Queen Kaʻahumanu Center. The Maui Department of Transportation is required to vacate the current hub by Jan. 31, 2020. The Board also approved $1.5 million from the Dwelling Unit Revolving Funds to be used for multi-family affordable rental housing units for families at or below 60% of the US Department of Housing and Urban Development median income.